In addition to the Crewe benefits, you will have access to our VIP events, a personal distillery tour with in-depth spirit tasting and your photo on the distillery wall. On our 1-year anniversary, you will get your Crewe coin re-issued in real silver. Serialized coin with all the benefits*. Twisted Sun Rum silver coin (It's real silver). Your name on the wall of our distillery. 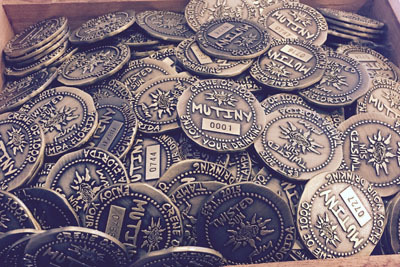 *This coin give you access to VIP events, personal call, personal tour for group of five with in depth tasting.